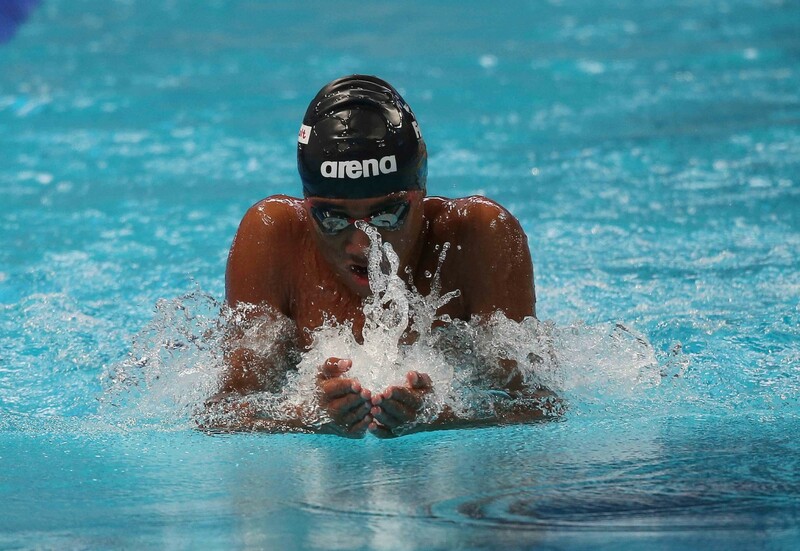 Swimming competition on day one of the 16th FINA World Championships proved to be a satisfying one for the swimmers from Oceania, with most carrying their good form from the recent Pacific Games in Port Moresby. 10 swimmers from seven island nations took to the pool on a nervous first morning of competition. Nevertheless, the nerves were soon soothed with no fewer than 5 personal bests (PB) and national records falling in the pool. 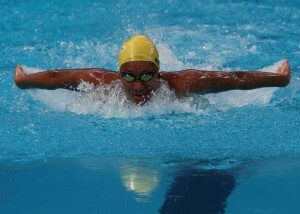 Tegan McCarthy of Papua New Guinea was in action early at the 16th FINA World Swimming Championships in Kazan, Russia. She was fresh from finishing 4th at the Pacific Games and setting a new national record for Papua New Guinea in the 100m Butterfly. In the same event and in the first heat of the day alongside, two other Oceania swimmers from Palau and Tonga, Tegan showed that the early start wasn’t going to catch her out as she was the third fastest leaving the blocks in her heat. This gave her a solid start, she turned at 50m in third place with a time of 31.65 seconds. Tegan touched the wall in 4th place again but was delighted with her time of 1 min 08.82 seconds; lowering the national record by two hundredths of a second. Also in the same heat was Charissa Panuve of Tonga. The task of beating a personal best, let alone a national record, is challenging but the 20-year-old proved she was up to it. Panuve raced to a time of 33.90 at the halfway stage. She described the race as “intense”, which could be seen in the second 50m. 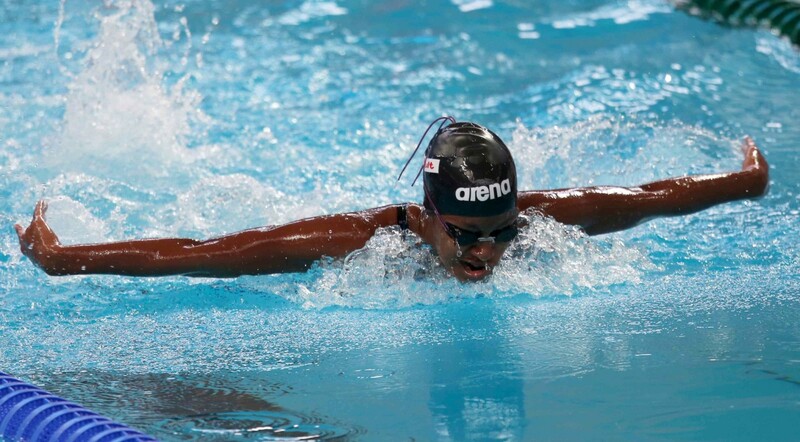 However, she managed to continue swimming strongly to clock a time of 1 minute 16.48 seconds, beating the national record she set under a month ago at the Pacific Games, in Papua New Guinea. Her reaction was that of joy, stating “I haven’t swam 100m fly in a while...it was a challenge for me but I’m happy with the result and how I performed”. She also paid compliment to the World Championships. “It’s a big difference swimming here, you’re swimming with World Class swimmers, it’s a good experience for people like us, from Oceania, to have this opportunity to race against the big guys”. The large crowd at the Kazan Arena also welcomed Palau’s Dirngulbai Misech to the blocks ahead of the Women’s 100m Butterfly. 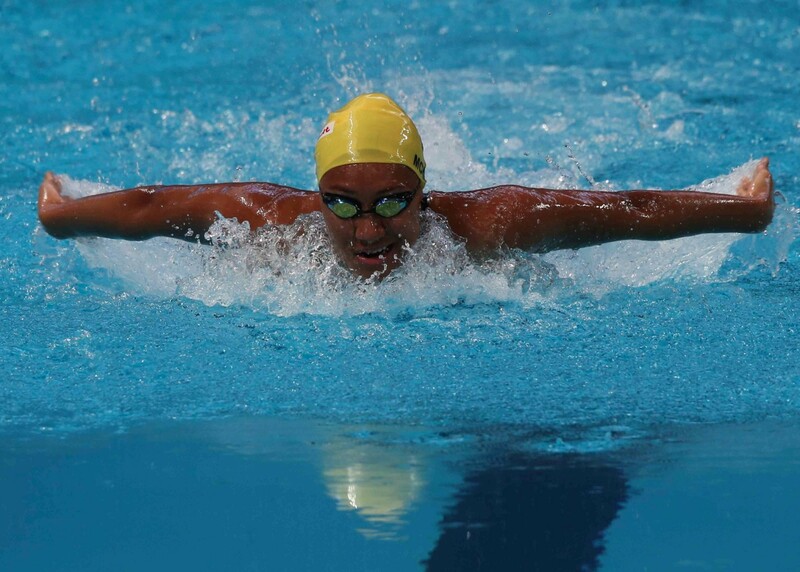 Dirngulbai was another swimmer fresh from breaking a national record at the Pacific Games. Despite being a previous World Championship competitor, healthy nerves were still playing on Dirngulbai’s mind. In fact it was much better than that as she had lowered her previous mark at the Pacific Games by 1.03 seconds clocking 1 minute 14.05. Samoa’s first entry at the 16th World Championships, in Kazan, was 17-year-old Brandon Schuster. His first event was the 400m freestyle. In this event, he has knocked an incredible 26 seconds off his time from before the 2013 World Championships, to this year’s Pacific Games, in early July 2015. His time of 4:10.15 at the Pacific Games in Port Moresby set a national record which today he was determined to beat. “I think I went a little too fast in the first 100m and it was hard for me to catch up”. One would think there is not a lot left to say about Ryan Pini. At an age where most swimmers have hung up their goggles Ryan continues to set the highest of standards both in and out of the pool. 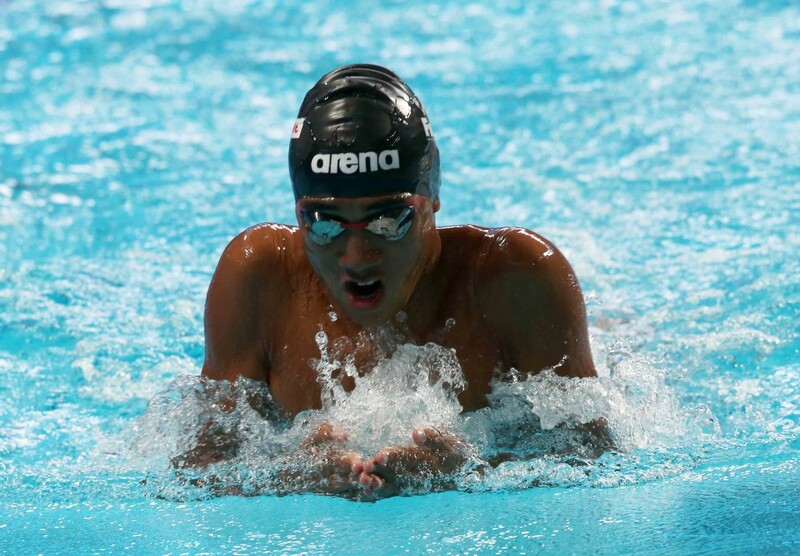 Holder of no fewer than nine national records, the Olympian has just recently picked up the title of best male swimmer at the Pacific Games after winning seven gold medals, two silvers and two bronze. Out of the pool he is just as inspiring, being appointed as a Athlete Representative to the Pacific Games Council. 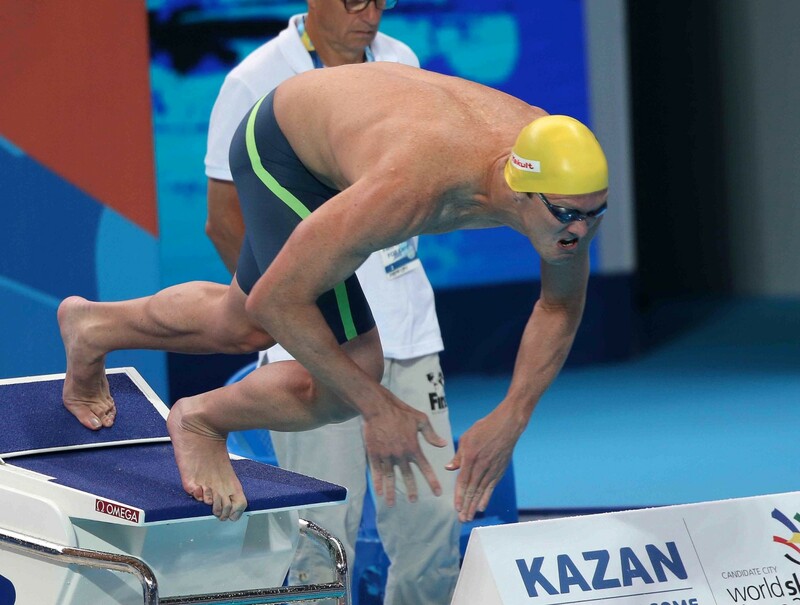 Ryan’s first event in Kazan was the 50m Butterfly where he was going as the highest ranked Oceania Pacific island swimmer, being in the top sixteen qualifying times. His finishing time of 24.18 seconds was 0.41 seconds outside the national record that he set earlier this year at the Australian Championships. 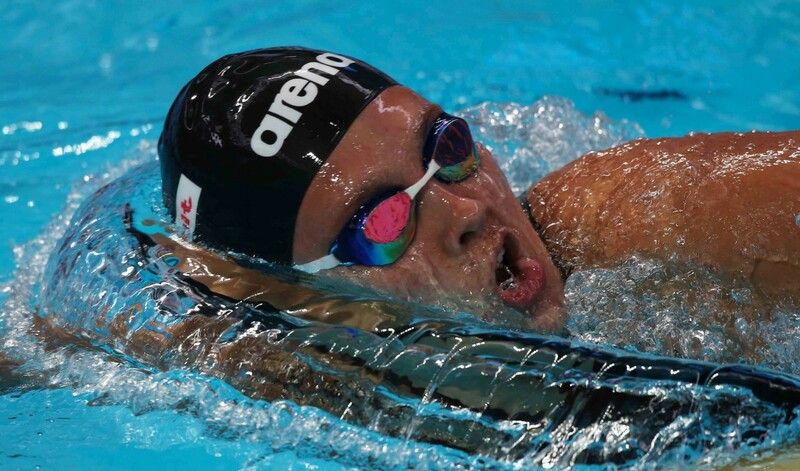 This is the third time that Victoria Chentsova of the Northern Marianas has appeared at the FINA Swimming World Championships, having debuted four years ago aged just thirteen. That happiness was the result of clocking 4 minutes 44.15 seconds shaving an impressive 1.59 seconds off her previous mark. Therefore, two national records within the month. 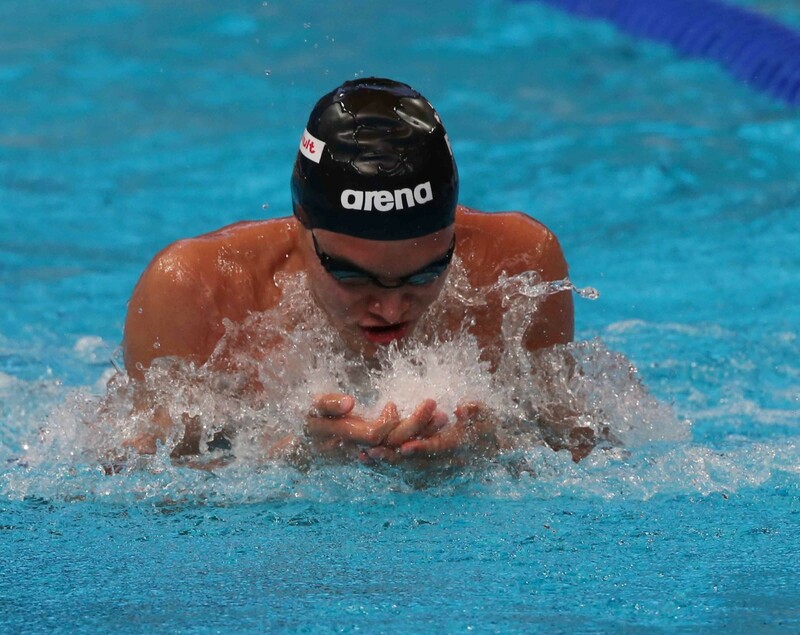 Kaito Yanai announced himself on the world’s largest swimming stage in explosive style. In the second heat of the 100m Breastroke Preliminaries only Great Britain’s World Record Holder Adam Peaty had a faster reaction time off the blocks. Once in the water Kaito went from strength to strength not only finishing second but also recording a personal best time of 1 minute 09.59 seconds. 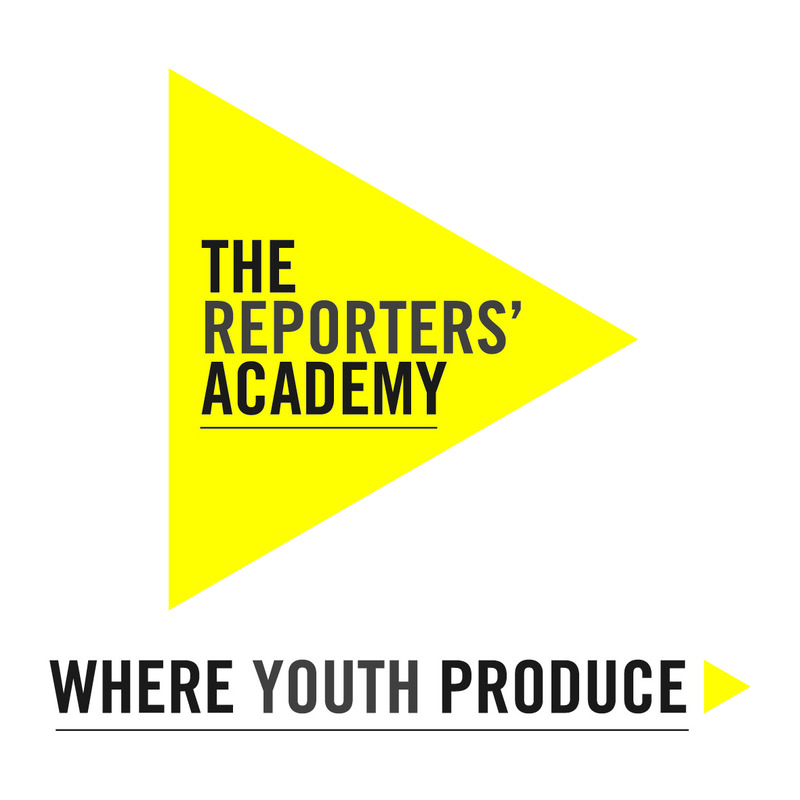 A great start for both Kaito and Northern Marianas. Amini Fonua is an experienced campaigner at major swimming championships. 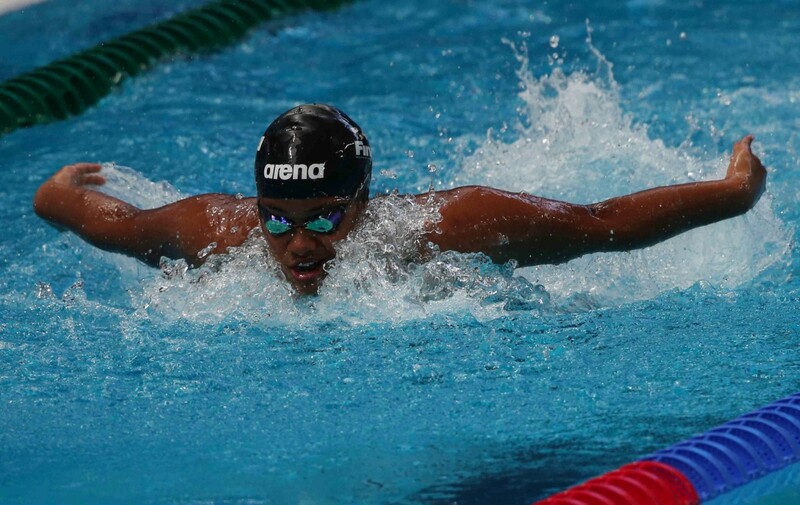 The 25 year old arrived in Russia on a high after winning the 100m Breastroke at the recent Pacific Games in Port Moresby in a Games Record time. The swimmer is the only Tongan to have held both Oceania and Pacific Games titles. The confidence gained over recent weeks showed itself as Amini was the first to reach the 50m turn in the 4th heat of the 100m Breastroke. 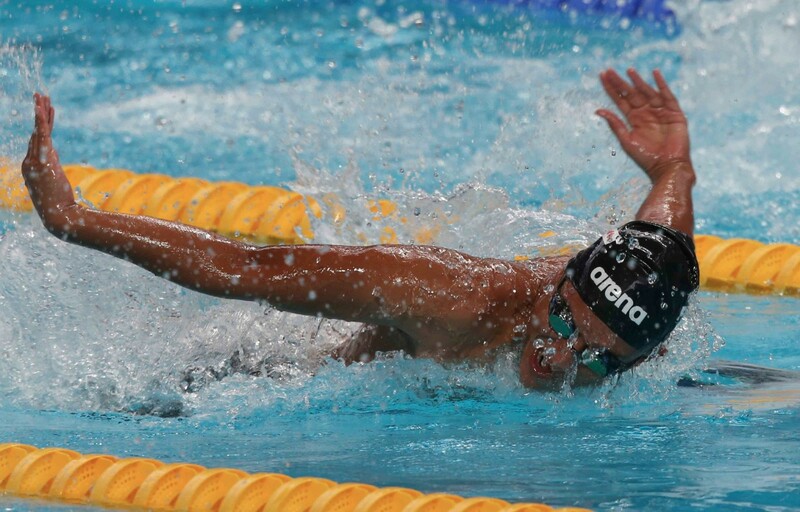 Unfortunately, this initial effort took its toll with Amini slipping back down the field to record a time of 1 minute 04.28 seconds, 1.33 seconds outside his PNG record swim. Naturally, he was a little disappointed afterwards, but remained upbeat. 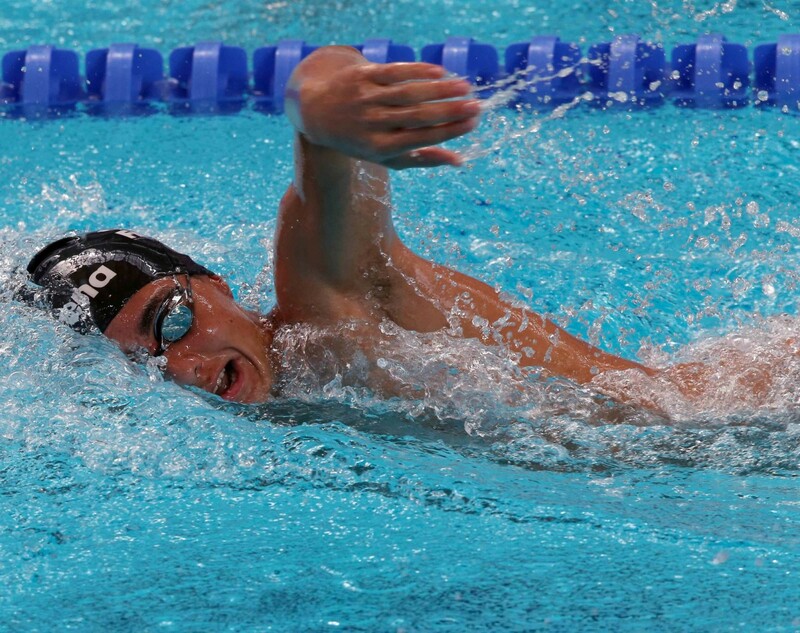 Guam’s first representation at this year’s FINA World Championships was in the same race in the shape of 19-year-old Benjamin Schulte, in the 100m Breaststroke. The student, who attends college on Rhode Island in the United States, is the holder of Guam’s record time in the event and was looking to improve on it in Kazan. Schulte started efficiently. At the halfway stage he was only 0.42 seconds behind the leader; fellow Oceania swimmer Amini Fonua of Tonga. Whilst he overtook Fonua in the final 50m it was only enough to place 5th in the heat. The final time was 1 minute 03.84 seconds, an agonisingly close 0.42 seconds off his personal best. The disappointment was evident. 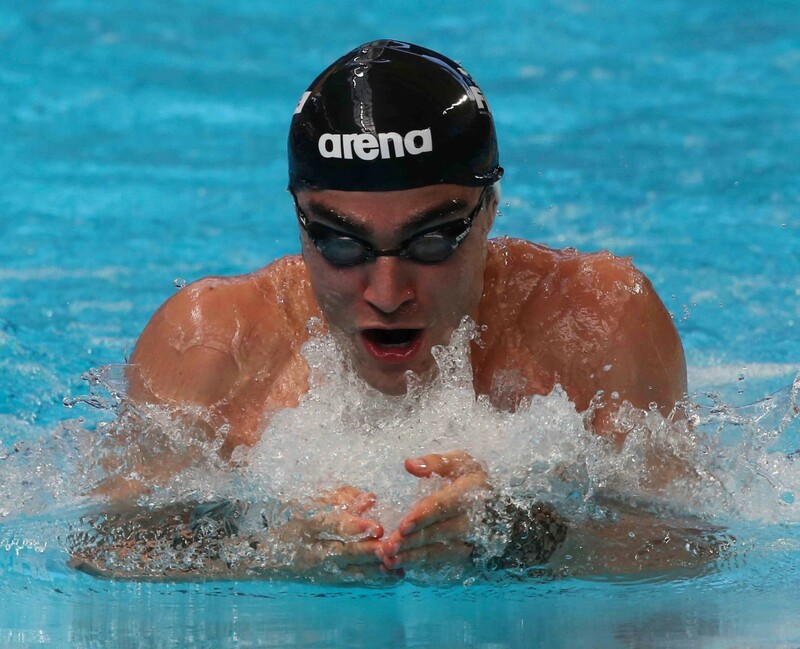 However, he did take a positive from the day highlighting the atmosphere as “intense and great as always” and that he loved competing in the FINA World Championships, “It’s the pinnacle of everything because of the organisation and facilities. It’s great to race here”.